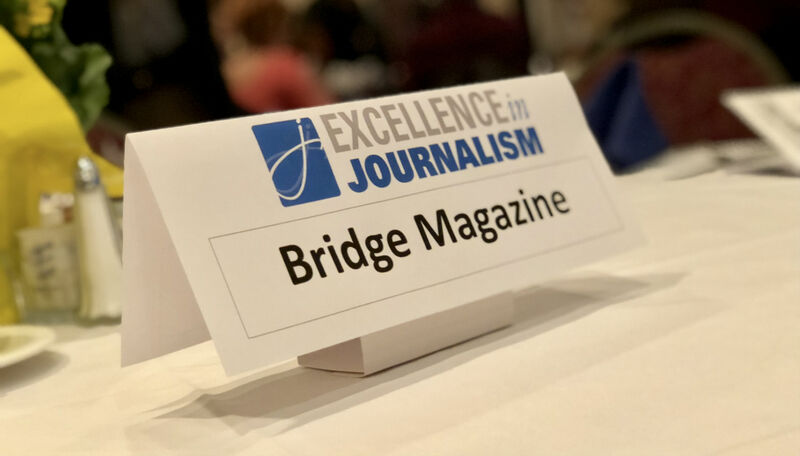 Bridge Magazine reporters and editors won 23 awards in the Society of Professional Journalists’ Detroit chapter’s 2018 Excellence in Journalism contest, including five first-place honors. Bridge, a publication of the nonprofit The Center for Michigan, also swept categories for localization of a national news story and for consumer and watchdog reporting. Bridge’s first-place honors included a yearlong project that explored the political divides between Michiganders that were exposed in the 2016 presidential election, and a profile of the attorney who defended police officers accused of killing three black teens at the Algiers Motel in 1967. Bridge competes in SPJ Detroit’s online division, for news websites. Second place: Chastity Pratt Dawsey and Nancy Derringer on Michigan’s medical marijuana industry. Third place: Chastity Pratt Dawsey for a project on the deportation of a young mother from Detroit. Honorable mention: Ron French and Ted Roelofs for a project on gerrymandering in Michigan. My compliments to Bridge Magazine and all of the wonderful staff. Bridge does it right. They collaborate, they seek the voices of the citizens and are unafraid of speaking truth to power. The quality and integrity of the Bridge staff reflects the journalism of the future. Thank you for your support, Bernadette! I am very proud to showcase Bridge with my bumper sticker (actually in the back window), to wear my t-shirt and to be an "evergreen" supporter of its programs and journalism. Congratulations. Things hard to find today: objectivity, facts, and clear,concise reporting.